Echo Irene Coleman, 94, of La Porte, passed away on Sunday, September 2, 2018 at Fountainview Terrace. 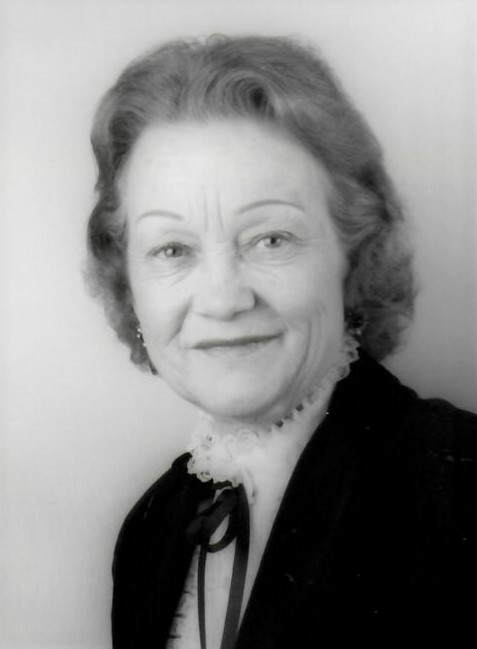 Echo was born on November 3, 1923 in Carrier Mills, IL, to James B. and Hazel (Hoodcock) Purnell. On June 23, 1945 in New Bedford, Massachusetts, she married Calvin G. Coleman who preceded her in death on March 8, 1998. Surviving are her nieces and nephews: Echo McNutt, Cliff (JoAnn) Purnell, Billy (Patty) Purnell, Jack (Karen) Purnell, James Purnell, David (Gail) Purnell, and Vicky (Chet) Kurr; numerous great-nieces, and great-nephews; and cousin, John (Grace) Hoodock. She was preceded by her parents and husband. Echo worked as a secretary at Howmet Corporation for over 30 years before she retired. She attended First United Methodist Church. Her favorite past times included traveling, playing bingo, bowling, and family gatherings. A Celebration of Life Service will be held at 11 am (CT) on Friday, September 7, 2018 at Cutler Funeral Home and Cremation Center with Pastor Bill Moxey officiating. Burial will follow at Pine Lake Cemetery. A time of visitation will be held from 10 am (CT) until the time of the service on Friday at the funeral home. Memorial contributions may be made to the YANA Service Club, 1621 Roberts Street, La Porte, IN 46350.